Though I've lived almost five years in Chengdu, I can hardly say I know the city well. 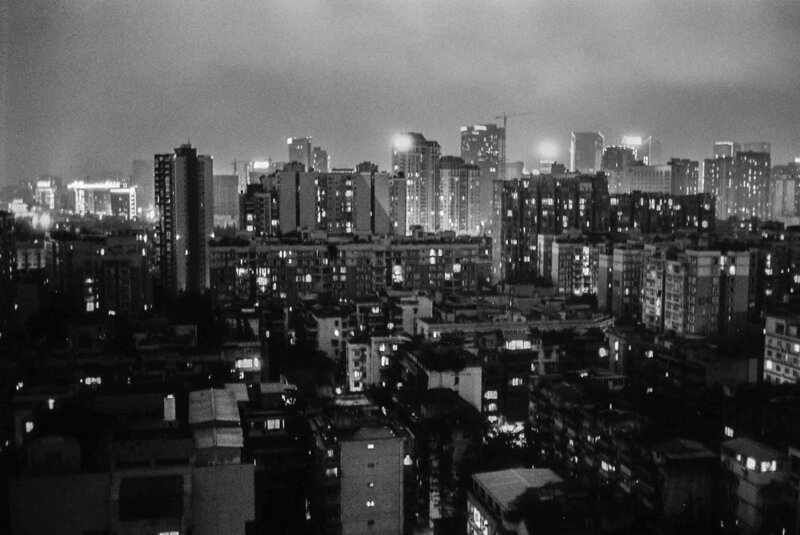 With China's current growth rate, every district is expanding and changing its skin like a molting snake, its scales being hauled off at midnight by vast lines of dump trucks receding into the hazy grey distance while dancing to the clack of mahjong tiles. It seems that every two months I can't even recognize the landscape out of my front door. The slogans say 'Modern buildings for modern people.' I suppose as a street photographer, this is exactly what I want: a new palate to work with, a fresh scene, something electric. Although the best about Chengdu is that no matter how fast it tries to reinvent itself, It never really changes, the oil is still there under the new shiny dirt.